Black Pearl Jewellery at SelecTraders: Facets of Tahiti reflected through our pearl necklace MULTICOLOUR. It is made of round black and multicolour tahitian cultured pearls, each one of them grew to the impressive size of 8.9 - 11.2mm. A range of colours, for example shades of light grey, with iridescences showing green-silver-rosé-brown and blue. This black pearl jewellery is approx. 18 inches in length. 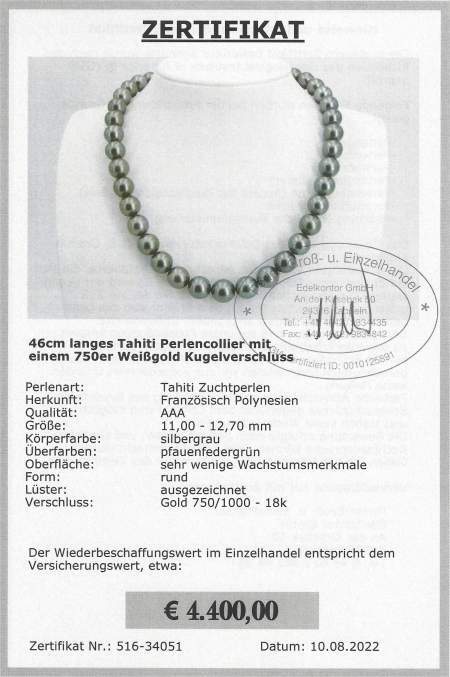 Tahitian cultured pearls are characterized by a diversity of shapes, diameters, qualities and several shades of natural colours, ranging from pale grey to anthracite black. The completed strand will be finished with your choice of 14-karat white or yellow gold clasp (see picture). Delivery time for this custom-made item is about 1 week. The details on this Multicolour Tahitian Pearls are shown below the pictures. Selectraders customers receive a pearl certificate, customised for the individual piece of black pearl jewellery. 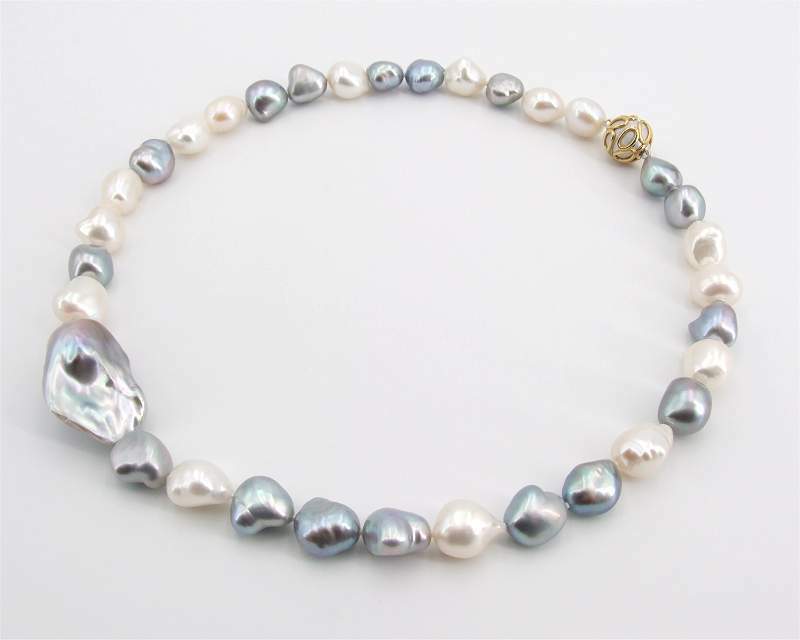 It describes all features of your pearl jewellery. We specify in detail: type of pearls, quality, shape, size, colour (for example black) and shades, as well as diamonds and precious metal used. 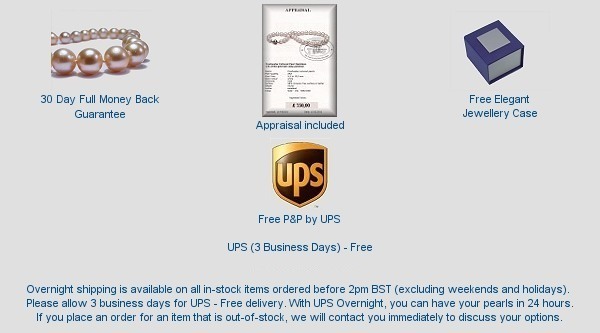 Each customer will receice all necessary information about the chosen piece of black pearl jewellery. Therefore, Selectraders customers become pearl lovers and pearl experts. Many vendors specialise in black pearl jewellery of lower quality and price - easily identified, since these pearls show irregular shapes and imperfect surfaces.